Researchers with the Oxford Research Group and Action on Armed Violence have released a pair of reports assessing casualty recording practices of states and the United Nations. The research conducted for these reports is comprehensive and significant, as they are the first studies of this kind. From the perspective of an international lawyer specializing in the law of armed conflict this is an important source of how states and the United Nations are complying with their legal obligation to find, identify, determine cause of death, bury with dignity and inform the families of the civilian casualties of either non-international or international armed conflict. Along with the two reports, the researchers have released a joint summary, providing an overview of key findings and recommendations. As the summary’s section on the UN practice states: ‘Casualty recording enables an understanding of who has died, how, where, when and in what circumstances’. What the research for this joint report reveals is that information on casualties is being collected by the UN and its member states involved in conflict, but in a non-systematic, fragmented way. Previous research by the Oxford Research Group has identified that the recording of civilian casualties is an important consequence of the international legal obligations towards civilian casualties as identified in the Geneva Convention, its two protocols and customary humanitarian law. The joint summary report recommendations are welcome, as they will enable procedures to ensure compliance with a state’s international legal obligations. Firstly, the report recommends that states come together to discuss avenues to promote and strengthen casualty recording practices. Given that states are often involved in multi-national armed interventions, such as the interventions in Kosovo, Iraq, Afghanistan and Libya, international cooperation around this issue is vital. Secondly the report recommends recording injuries as well as deaths. International humanitarian law has always focused on the wounded and sick. Indeed the movement towards codification of the laws of armed conflict originated with Henri Dunant’s recounting of his meeting with the wounded of the Battle of Solferino in 1859 and his subsequent bringing together of Swiss businessmen to form the International Committee of the Red Cross. The principle has always been to treat both the wounded and deceased with dignity. Article 16 of the universally ratified Fourth Geneva Convention Relative to the Protection of Civilian Persons in Time of War mandates particular protection and respect for the wounded and the sick and the obligation of each party to the conflict to facilitate steps to search for the killed and the wounded. The next set of recommendations concern the methodology of data collection. One need only harken back to the index cards that recorded the prisoners of war in the First World War, located in the International Committee of the Red Cross museum in Geneva, to see that an appropriate system of recording casualties must be developed for accuracy and to constitute a historical record. 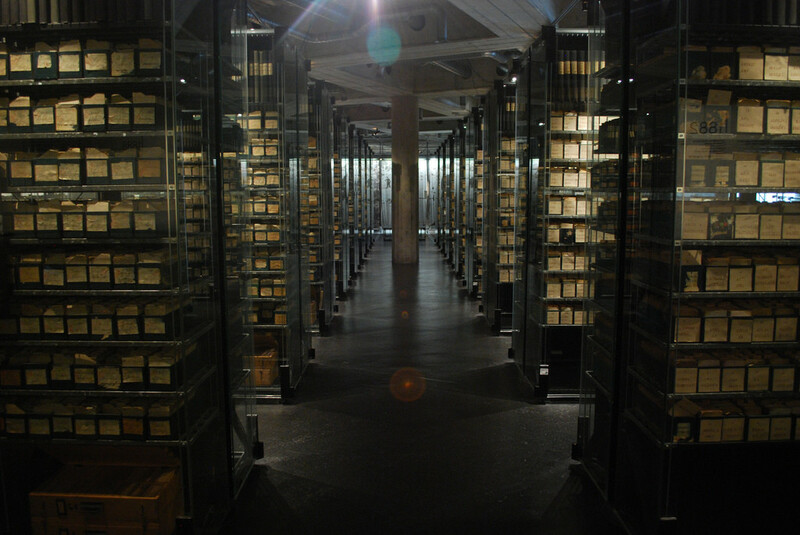 The International Red Cross and Red Crescent Museum contains the seven million index cards used by the Red Cross to track prisoners of war during World War 1. Recommendations on using good data management systems, developing and applying standards, using strong validation mechanisms and multiple sources of information are important to ensure the truthfulness of the information being provided on the human toll of conflict. This information can be used in considering the international response to situations of widespread violence, particularly when the Security Council considers the drastic step of a collective security intervention under Chapter VII of the United Nations Charter. Perhaps one of the most important recommendations of this joint report concerns transparency. The report states that ‘detailed, disaggregated information on deaths and injuries should be made publicly available provided appropriate safeguards to protect victims, witnesses and others’. The nature of international society has fundamentally changed in the past few decades. States are not the only actors with international legal personality comprising legal rights and legal responsibilities in the international legal system. It is now being argued that international organisations, non-governmental organisations, and individuals also have some variant of international legal personality. This would mean that these entities have some degree of legal obligation to prevent armed violence, respond to conflict and rebuild after conflict occurs, and, as such, information on casualties should be made available to all who might have some legal responsibility towards the victims of armed conflict. Closely related to transparency is the use of the data collected. The joint report recommends that ‘Casualty data should be used not only for individual result-oriented initiatives, but also aim to inform broader structural and social changes that can sustainably reduce violence.’ Although international criminal law and international human rights law tends to focus on individual violations, the general law of armed conflict, particularly in considerations of resort to force, considers the total realm of violence and thus this information has to be made available in an accessible format to the international community of states. One of the most troublesome aspects of casualty recording is the lack of funding for such activities as non-governmental organisations struggle with inadequate resources for such a large and important task. In the section of recommendations to specific actors the report states ‘Responsibility for implementing these systems in conflict-affected countries should be determined either through giving one UN body global responsibility for casualty recording, or through determining the responsibility to implement casualty recording on a context-by-context basis’. It has always been my position that this is an international responsibility as conflict affects the international community as a whole and the United Nations system should ensure funding and training of casualty recorders. A United Nations body with global responsibility for casualty recording is absolutely essential in order to ensure that all states comply with their international obligations towards civilian casualties. When the UN systematically records the direct civilian casualties of violent conflict, and acts effectively on this information, this can help civilian lives. This is due to the fact that the UN can influence conflict parties to change their behaviour and decrease the civilian death and injury they cause. One of the most important developments in international law since the adoption of the Geneva Conventions in 1949 is that states are legally responsible to protect civilian populations under their control in armed conflict. Proper casualty recording, explored in length by these two reports, will ensure compliance with that responsibility.